What sets us apart from EVERY other repair facility in the area! We are so confident in our technician’s abilities that we back all his work with the most comprehensive warranty in the business. Our warranty is triple the warranty of most dealerships or other repair facility in the area. Click Here to see how much our customers LOVE us.. Click Here to see all of our wonderful Yelp Reviews. In today's day and age, vehicles continuously become more and more complex. That's why it's important to make sure your investment is in the best hands. 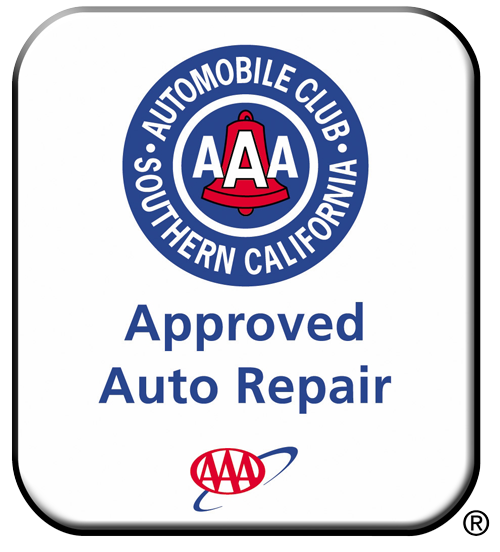 We always employ ASE Certified techs, to ensure that your car receives the quality of care it deserves. We know that you have other things to do besides waiting around for your car so we have a shuttle waiting to take you where you need to go and pick you up when your vehicle is ready. We know that our clients lead busy lives. We have discounted rental cars available so you can keep up with your busy schedule. We know how important it is today to have someone that knows and understands your car (Statistics show that a will preventing a breakdown will save you up to ½ on your overall vehicle expense) so we have no rookies here. You can be confident your vehicle will be done right the first time and on time. When you pick up you vehicle it won’t only run like new, it will look like new. Our clients appreciate having their vehicle clean and ready when promised. With the current quality of today’s vehicles we know that if they are taken care of by someone that knows and understands them they can last as long as you want them to last. Our customers enjoy the peace-of-mind of knowing that they can drive with confidence. Our Service Team inspects your vehicle and gives you a written report. They will take the time to help you understand what you need and why you need it so that you can make important financial decisions regarding your vehicle. Our staff inspects the vehicle and helps you decide what is important and what can wait. What you came in for is always 1st, safety issues are 2nd, what will save you money if done with the first 2 is 3rd, maintenance (things that can wait a little while) comes 4th and electives/cosmetics are last. And… We will NEVER sell you what you don’t need. If your schedule makes it impossible for you to come in during our regular business hours, no worries, we have Early Bird and After Hours drop off and pick-up available. We know that sometimes repairs come at you out of the blue, so we have financing (90 days same as cash) for those times when you need more than your budget will handle. We know that you don’t want to wait but if you have to, we have a nice comfortable waiting room with all the amenities you need to feel comfortable. We keep the place clean so that you can feel comfortable and at ease. And yes ladies there is a purse hook on the back of the door (we thought of everything) .